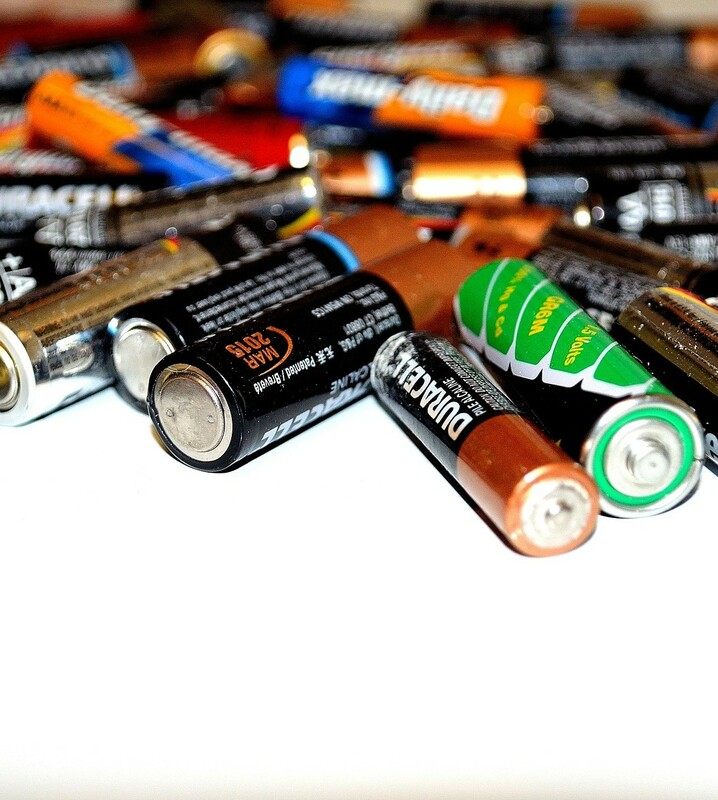 Non-explosive batteries have recently been developed by scientists. These Lithium-ion batteries provides an adequate power supply to use in your everyday household electronic devices. Researchers carried out a number of physical and destructive tests, however, no explosion or ignition was produced. Their findings were published in the academic journal Joule at the beginning of September. The batteries have been developed using a saline solution as the electrolyte. This has removed any risk of explosion that some non-aqueous models are prone to. Until recently, if you required a high energy battery, your first choice would be a non-aqueous lithium-ion battery, which could overheat and in some instances catch fire. For the more safety conscious, the preference would be to use an aqueous battery for instance, such as a nickel/metal hydride one. By choosing the safer option, the compromise would mean that they produce lower power, and you might find that that some of your powered devices may not run to their full capacity. With the production and development of these new batteries, there is now a high energy battery with an increased level of safety. In 2015, researchers were prevented from accomplishing higher voltages by a technical problem known as ‘Cathodic Challenge’. This is when one end of the battery (the anode) – which is produced from granite or lithium metal is tainted by the water-based electrolyte, thus decreasing its use as an anode. Research showed that when the gel polymer decomposes during the first charge of the battery, it forms a stable layer called an ‘interphase’. This then goes on to protect the anode from any chemical reactions that could force it to stop working as it should, and allows the necessary anode materials to be used in the battery. When the protective gel polymer was coated onto the anode, scientists were then able to increase the voltage of the battery to 4.0 volts, thus making it a viable power source that can be used in everyday household electronic devices including laptops. The gel coating also provides the battery with extra safety advantages as compared to standard non-aqueous lithium-ion batteries. When you hear the words ‘post-natal depression’, you automatically assume it’s the mother who is facing a long road of darkness and uncertainty. Recent studies however have shown that new fathers are at greater risk of experiencing postpartum depression as well, should their levels of testosterone drop within a year after their child is born. Studies have revealed that in some cases where the father had high testosterone levels, the results proved that there would be a greater risk of stress, anxiety and signs of hostility, with a stronger risk of showing some emotional, verbal or physical aggression in the direction of their partners. The biological effects of fatherhood have been in the forefront of previous studies, due to assumptions that it is the mother that has any biological links to their babies, especially connected to breastfeeding and throughout the pregnancy. 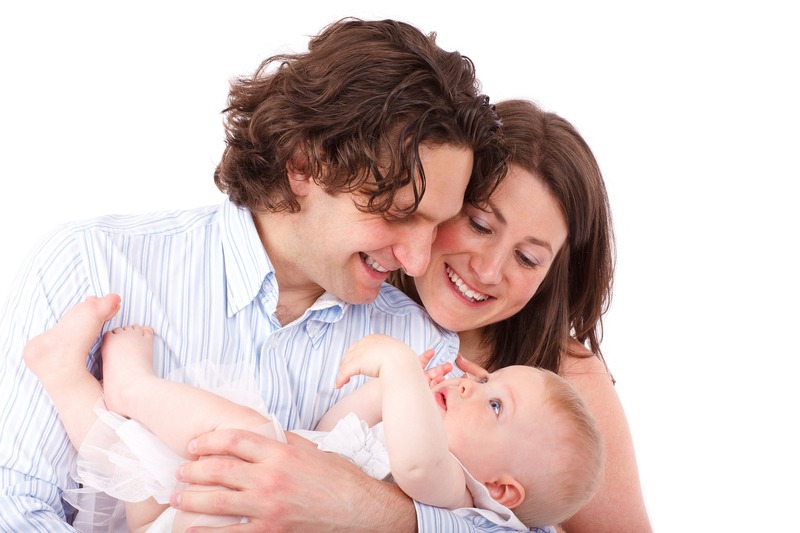 The father’s connections to the child are made during rearing and nurturing the infant, and research has proved that children raised in a family environment with both the mother and father present tend to be more contented and have higher potential in life. A study involving 149 couples in the Community Child Health Research Network in American provided the researchers with the results and data for analysis. Mothers involved in the study were categorised by their age, colour, nationality and on their level of income. Selections were made following the birth of their first, second or third child. Paternal fathers were then offered the chance to participate in the studies. Studies revealed that 95% of the fathers who provided testosterone were living with the mother of their child. Meetings were arranged with the couples where they would be interviewed three times in the first two years following the birth of their child: the 1st meeting would take place when the child was 2 months old, followed by another meeting at 9 months and then again at 15 months. During the second meeting, when the child was 9 months old, fathers were issued a saliva sample kit, where samples would need to be taken three times a day. Once the saliva had been analysed, the data would then be used to monitor the father’s testosterone levels. Questions were also asked about the relationship between mother and father, the stress of parenting and whether either party had shown any aggressive behaviours. The answers would be given measured by numbers where the higher the number the greater the risk of abnormal behaviour. Results and analysis showed many varied answers to the questions asked throughout the three sessions. Statements included “I feel trapped by my responsibilities as a parent”, and “my child makes more demands on me than most children” were more commonplace than first thought. During the studies, some mothers reported that they had experienced insults, threats and high levels of shouting during the first year after their child was born. Results proved that very few of either participant identified as being clinically depressed; however, researchers were looking for symptoms of depression within each party, rather than making a formal clinical diagnosis. Lower testosterone levels were linked to symptoms that the father was experiencing, but surprisingly, the mother would show fewer symptoms. This then potentially links their depression to the dissatisfaction in their relationships. Researchers believe that if the mother and father were paired with partners with lower testosterone levels, the mother showed greater satisfaction within her relationship which led to reduced symptoms of depression. Joint parenting whilst the baby is young showed that parents seemed to be more in sync with one another, creating a less stressful environment. Research also shows that mothers who venture out and use the time to socialise with others can shield them from feeling down and reduce any symptoms or feelings of post-natal depression. Fathers who presented higher levels of testosterone showed signs of stress and problems within their relationships. Doctors would automatically provide fathers that are showing signs of postpartum depression with testosterone supplements, but, the studies have revealed that this is not the best cause of action to take and could add to the family’s turmoil. The overall conclusion was that both parents should accept any help from outside agencies should they need it, and that support groups and links are available. It is important that both parents should recognise the symptoms of postnatal depression and find the right support for them and their families. Access to academic research materials has been brought into the spotlight following steady price rises and many lawsuits following Sci-Hub, a pirating service for academic research and their involvement in copyright infringements on their website. Recent developments involved the American Chemical Society who publish a vast range of chemistry journals, when the society requested an injunction that would push search engines and internet providers to bar Sci-Hub, due to the illegal content on its web pages. The society also requested compensation of $4.8million following the non-appearance in court in June this year by the representatives of Sci-Hub as well as not responding to the original law suit. In June, a district court in New York ruled that an amount of $15 million should be paid in damages by Sci-Hub to Elsevier, again for infringement of copyright laws on their website. Sci-Hub’s owner, Alexandra Elbakyan, from Kazakhstan currently is residing in Russia making her untouchable by the power of the US courts. 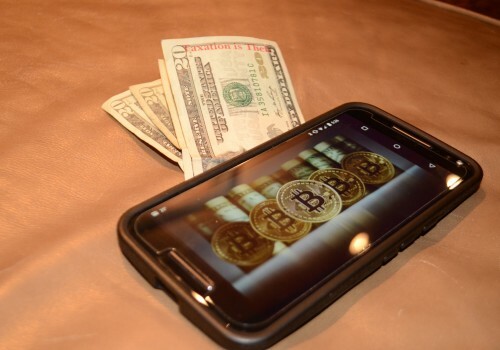 It has been reported that Elbakyan has no known assets within the United States, and it seems very likely that the law suit will remain unpaid. Elbakyan founded Sci-Hub in 2011, with the original domain of sci-hub.org. Throughout the years, she has been issued with court orders to change the address on several occasions. Supporters of open research have argued that large amounts for research material produced by publishers are kept behind paywalls, and funded by grants that are paid for by taxpayers – it is therefore believe by many that the public should have unconstrained access. 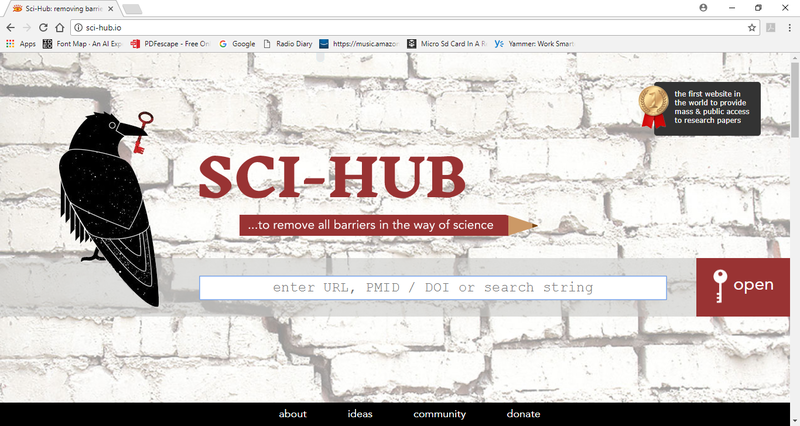 Studies have shown that Sci-Hub catalogues 68.9% academic research within its site, whilst 85.2% of papers that were originally stored behind paywalls can be found on the Sci-Hub site at no cost. When an article isn’t readily available within Sci-Hub’s library of resources, the site has the facility to obtain the documentation required, using given passwords they have acquired for services such as JSTOR, Elsevier and Sage. A study steered by a Data Scientist at the University of Pennsylvania, Daniel Himmelstein, has revealed that due to Sci-Hub’s vast range of material on line, subscriptions and the publishing of material is becoming unsustainable. In 2015, academic publishing industry revenue was approximately $25.2 billion. Subscription fees have risen so substantially that Universities in America are struggling with the costs – this also includes the so-called wealthier universities, such as Harvard, whose subscriptions reached $3.5 million in 2012. Since then, the university has requested to its faculties to halt the manufacture of published research material and to keep all articles and research documentations behind paywalls. 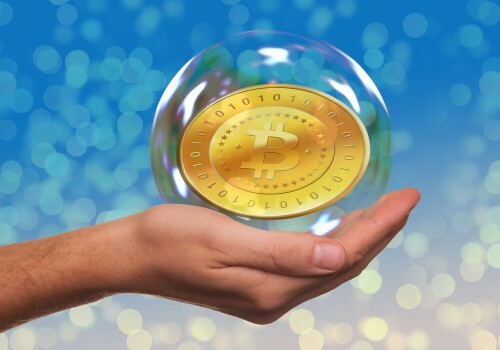 Sci-Hub is now largely funded through donations from Bit-coin entrepreneurs and those with a vested interest, on the Dark Web, and across the encrypted messaging application “Telegram”. Shortly after the American Chemical Society’s injunction, and the request to block Sci-Hub, Elbakyan blocked her home country Russia from accessing and using the site. According to reports, this is not related to the lawsuit, and is the result of Elbakyan’s unrestrained relationships with academics in Russia. Elbakyan placed a message on the Sci-Hub website, citing persecution from Russia’s “liberal opposition”. We know of two flying cars in fiction; one being the DeLorean from Back to the Future and the other, Chitty Chitty Bang Bang. Little did we know that a DeLorean type vehicle could become reality in our lifetime. Although we are seeing that road vehicles powered by electricity is becoming more commonplace, a recent report has announced that there are companies currently developing vehicles that will not be using roads, these have been designed and produced to fly. Lilium is an aviation start up based in Germany, and they made an announcement earlier this month that they have just achieved a massive big step forward towards their goal of creating a vertical take-off electric vehicle. Founded in Munich, in 2014, Lilium set out to create a world, where everyone, will have the ability to fly at any-time and anywhere they please, with the use of compact all-electric jet engines. Lilium are making the most of a pot of $90 million of funding from venture capital and crowdfunding companies: Tencent, a Chinese based technology company, Atomico, Obvious Ventures and LGT have all invested in the fledgling aerospace venture. 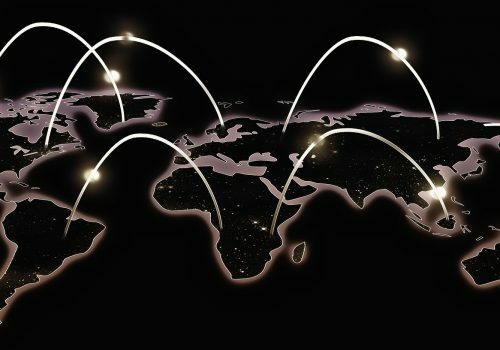 Although these companies may not be the large technological, engineering companies that we hear of on a day to day basis, they have provided their own private equity and have previously funded projects from Skype to Twitter, so they obviously believe that this new project is completely worthwhile. By recruiting rising stars, including the best aeronautical engineers, specialists in physics, electric propulsion and computer scientists from around the world, Lilium is taking it’s creators on an astonishing journey into the world of aviation, where the laws of physics are their only restriction. The investment from the participating companies has meant that the creators of Lilium will now have the funding and means available to create their dream of a five seater personal jet into reality, with a goal to revolutionising the way we travel in and out of cities. Lilium will enable passengers to travel up to 5 times faster than a standard car. Current models have already proved that it can transport people on a 300km journey in just one hour. Lilium will not be available to everyone however. Uber, who already run an air taxi service, are already showing interest.